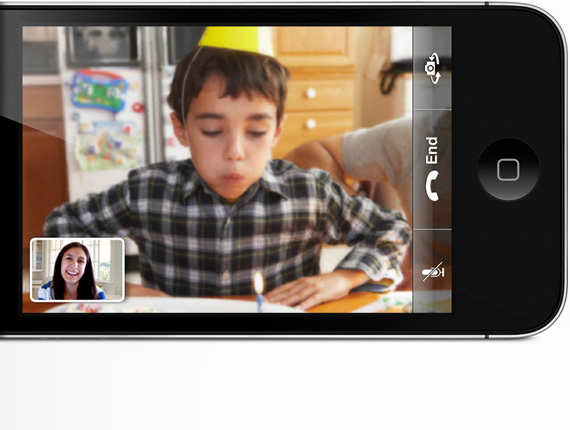 Apple to use Apple IDs and email addresses to get Facetime to work across devices? Boy Genius Report (BGR) is saying that a “reliable Apple connection” has explained to them how Apple plans to get Facetime working on the iPod Touch and iPad – when/if either ever gets a front-facing camera (the iPod Touch is rumored to be launching with cameras in the fall) as well as on other Apple devices. The problem right now is that in order to make a Facetime call from an iPhone 4, you need to know the phone number of the other party, and non-phone devices don’t have phone numbers. According to BGR, Apple plans to solve this by using the user Apple ID’s and/or the corresponding email attached to the account. On the iPhone 4, we’d hope that it will be reachable by either phone number or email, to keep it consistent, but what is probably more like is that iPhones will continue to just work on phone numbers. It seems to us, however, that the Apple ID really isn’t necessary. As one commenter pointed out on BGR, if Facetime is tied to a unique Apple ID, and you use that ID on multiple devices (which is probably pretty commonplace among couples) which device will “ring” when someone “calls”? If, however, only an email address is required – tied to the device that it is given on – then that would simplify things quite a bit. Of course, this might be too open (even on an open standard) for Apple to bear to build themselves, but it would most likely solve this issue, and from the image below supplied by BGR it would seem that this could actually already be the case.